Located in Denver, Mile High Stadium served as the home to many great Bronco teams and players for four memorable decades. Its history goes back to 1948, when private funds were used to build a stadium for the Denver Bears (baseball) and the local football team. A hill at 19th and Clay Street was selected as the site for the construction of a ballpark. Built of mainly bleachers it was originally known as Bears Stadium. By the time Denver’s football team became part of the AFL, the 17,000 seat capacity of Bears Stadium was to small. In order to satisfy the Broncos, the capacity of Bears Stadium was increased to nearly 34,000 in 1960. The Denver Broncos played their first game at the stadium on October 2, 1960 against the Oakland Raiders. Over its 40 year history, Mile High Stadium underwent many additions. By the mid 1960s city leaders wanted to build a new football/baseball stadium, but voters turned down a bond issue to build a new stadium. However, a civic group raised $1.8 million to buy the stadium. It presented the sports complex to the city in February 1968. Built in time for the start of the 1968 season, a 16,000-seat upper deck was constructed over the west stands, raising the stadium’s capacity to more than 50,000. After the 1968 season, Bears Stadium was renamed Mile High Stadium. An expansion between 1975 and 1977 raised the seating capacity to over 75,000. It featured an ingenious, 9 million-pound east stands that could be moved back and forth on a track of water, retracted in for football and retracted back for baseball. In 1986, luxury suites were added atop the upper deck increasing the seating capacity to over 80,000. After this addition, Mile High Stadium was one of the largest stadiums in the NFL. Three tiers of stands in a horseshoe shape made up Mile High Stadium. The main scoreboard was located above one level of bleachers on the south side of the stadium. Mile High Stadium was also one of the loudest stadiums due to its steel grandstands. Not only was Mile High Stadium home to some great Denver Bronco teams and players throughout its existence but was the home of the Colorado Rockies baseball team for two seasons (1993 & 1994). The Rockies played for two seasons while their current home, Coors Field, was constructed. Like nearly every other NFL teams in the 1990s, Broncos owner Pat Bowlen wanted a new state of the art stadium constructed that had additional luxury suites and club seats in order to generate additional revenue. In 1998, voters approved a bond to build a new stadium for the Broncos. Constructed adjacent to Mile High Stadium, fans could watch as the new stadium rose. The Broncos played their last game at Mile High Stadium on December 23, 2000. The next year, the team moved into Sports Authority Field at Mile High. 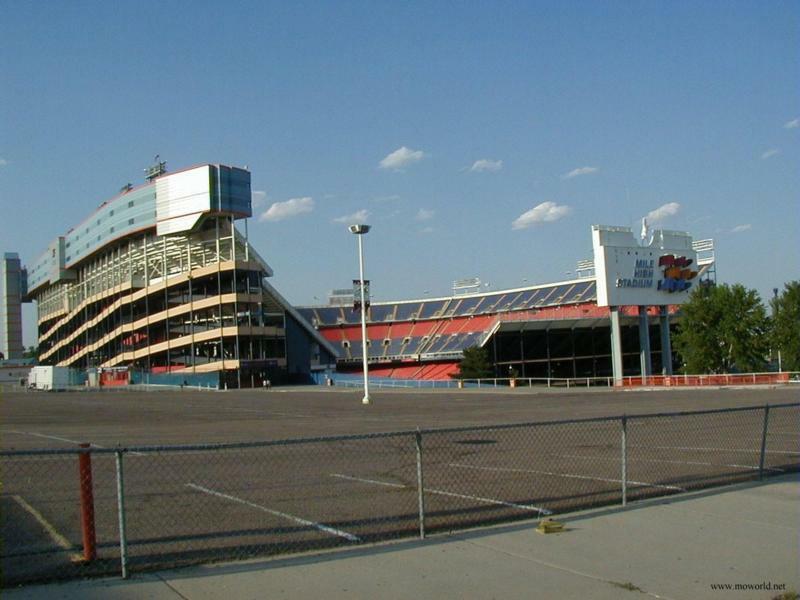 Mile High Stadium was demolished after the 2001 NFL season. It now serves as a parking lot for the new stadium.